Exciting action platformer will make its eShop debut on 23rd March 2018. Castle of Heart is a classic action platformer where players take control of a cursed knight who has been turned to stone by an evil sorcerer’s spell. Our brave hero must travel all the way from their petrified village to the dark ruler’s castle, mastering each of the levels along the way. Castle of Heart offers beautiful and detailed 3D graphics with changing landscapes, weather conditions, and rich backgrounds. The game’s aesthetics and bestiary are in equal parts inspired by Slavic mythology, with some environmental details derived straight from famous, mystical locations in Poland, the developers’ home country, and the dark fantasy atmosphere of the best action platformer titles from the genre’s golden age. 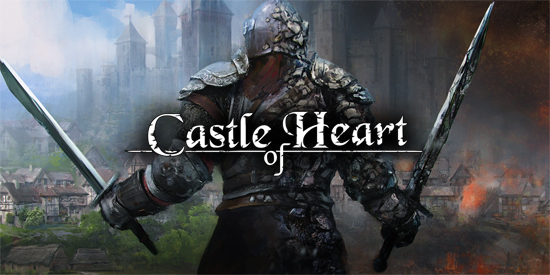 All of this makes Castle of Heart the perfect mix of classic influences and modern design, utilizing the spectrum of the Switch’s features, which will enchant both fans of the genre and newcomers alike. Castle of Heart will launch exclusively on the Nintendo Switch on 23rd of March, 2018 on the Nintendo eShop in Europe, North America, Mexico and Australia price $14.99 €14.99 £13.49.